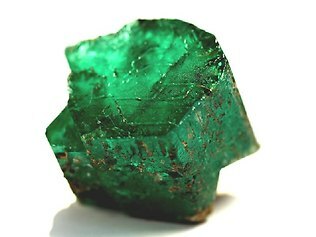 Limited amounts of emeralds are mined in the United States. 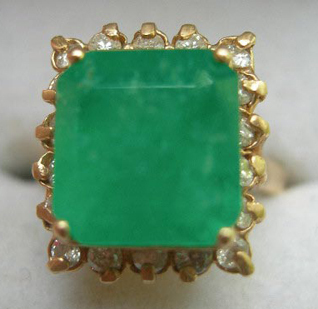 North Carolina has been a sporadic producer of emeralds in small quantities from a few tiny mines since the late 1800s. The Crabtree Emerald Mine was once operated by Tiffany and Company and a series of property owners between 1894 and the 1990s. Many fine clear emeralds were produced, and tons of emerald-bearing pegmatite was sold as “emerald matrix” for slabbing and cabochon cutting. The cabochons displayed emerald and tourmaline prisms in a white matrix of quartz and feldspar. Today, North American Emerald Mines operates a small mine near Hiddenite, North Carolina. 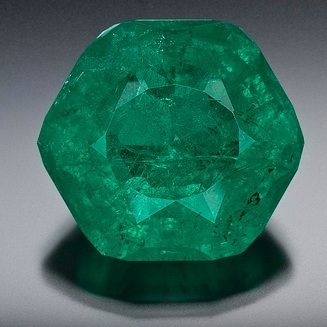 Between 1995 and 2010, over 20,000 carats of emeralds had been produced, including a six-inch-long, 1,869-carat crystal that is now in the Houston Museum of Natural Science and valued at $3.5 million. A crushed stone quarry on the same property is operated with an eye open for signs of the hydro-thermal veins and pockets that sometimes contain emerald. It is one of the only gemstone mines in the world that sells the country rock. The Emerald Hollow Mine is the only emerald mine in the United States open to the public for prospecting. Nestled snugly in the foothills of the beautiful Brushy Mountains, this North Carolina Emerald mine is located in the small town of Hiddenite, North Carolina. This locality is recognized as one of the most unique and interesting geological locations on the North American continent. 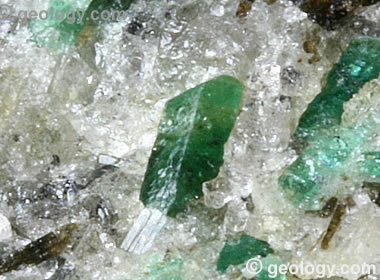 Photo of North Carolina emerald crystals from the Crabtree Emerald Mine. These crystals are embedded in a pegmatite that is rich in quartz, feldspar, black tourmaline, and bright green emerald. 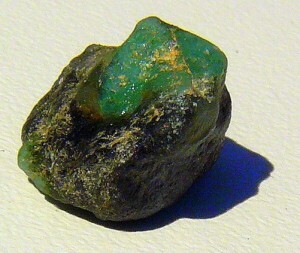 The emerald crystal in the center of the photo is only about 1/4 inch in length. Emerald-rich pieces of pegmatite from the Crabtree Mine are often slabbed and used to make interesting cabochons that display beautiful green emerald crystal cross-sections on a background of white pegmatite with a few crystals of black schorl tourmaline. 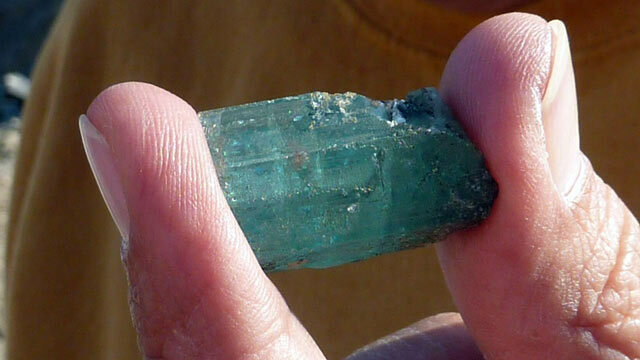 One of the unique experiences available to the visitor to Emerald Village is the opportunity to prospect and dig for emeralds in the dumps at the Crabtree Emerald Mine. This mine produced emeralds from 1895 (including for the Tiffany Company of New York) until the mine closed in the 1990s. The actual mine shaft went underground several hundred feet and lies flooded under a small pond. Dubbed the “Carolina Emperor,” the gem has been trimmed to 64.83 carats and is called the largest cut emerald ever found in North America. 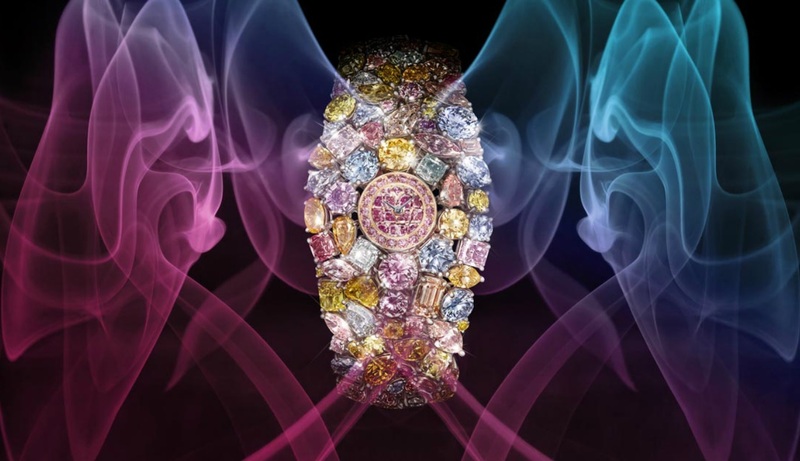 It is being compared to an emerald that once belonged to Catherine the Great of Russia. A beautiful custom-cut emerald in matrix mounted in a pendant. 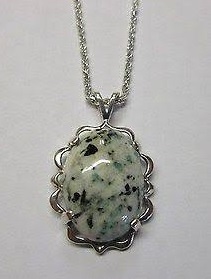 This is a beautiful custom-cut emerald in matrix mounted in a pendant. 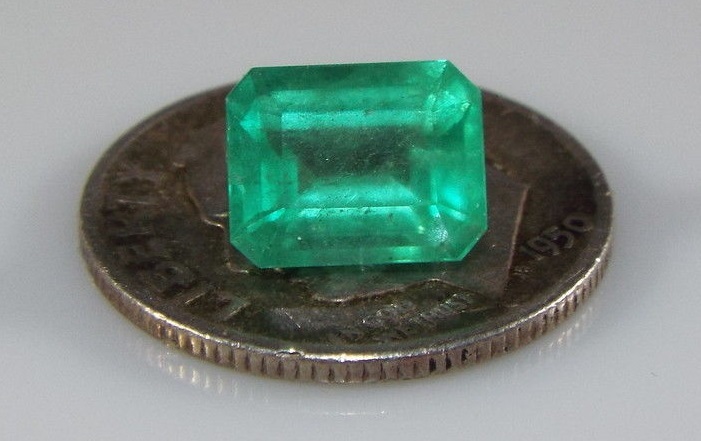 Emerald is the birthstone for May and the official state gemstone for North Carolina. In all of the United States there are only two locations that have been mined commercially for emeralds, both in North Carolina. 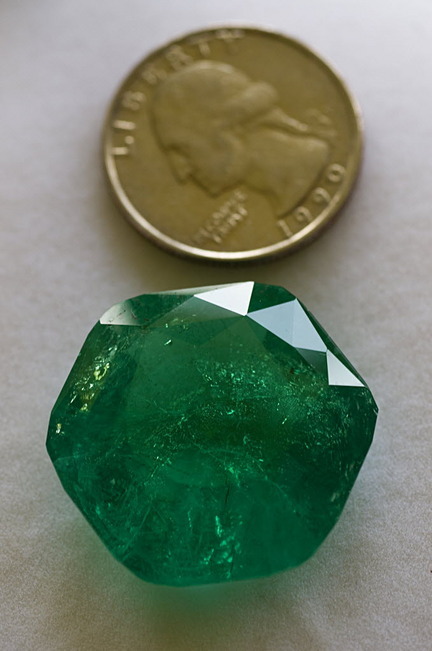 This stone is from one of them, the famous Crabtree Emerald Mine near Little Switzerland, NC. This mine opened in 1895 and was mined by Tiffany’s in the early 20th century. Now abandoned and closed, no emeralds have been mined at this mine in decades. 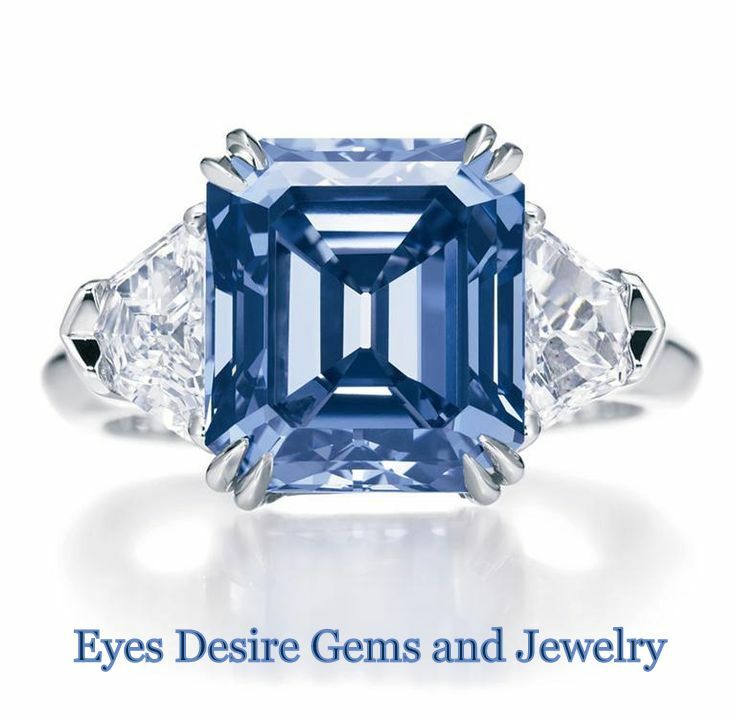 This beautiful gemstone was cut from rough mined many years ago and hidden away. 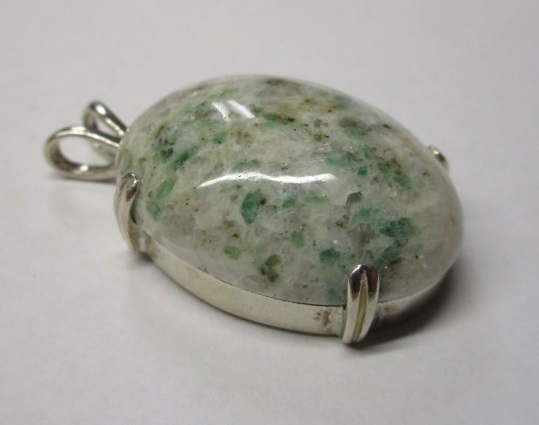 As is typical, the green emeralds are small and embedded in a matrix of white quartz, feldspar and mica, which creates a pretty contrast between green and white. 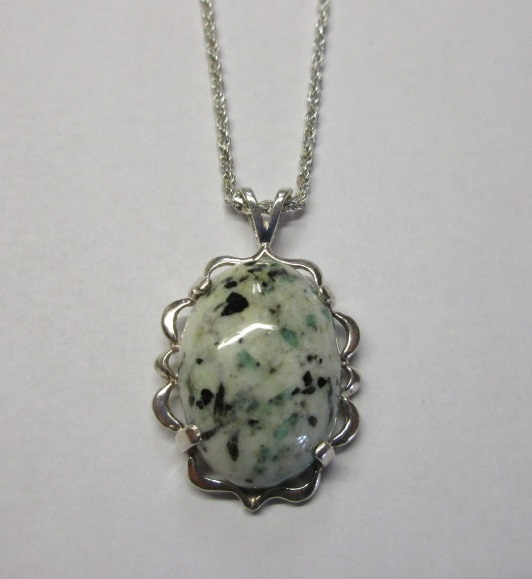 This stone measures 25 x 18 mm and is mounted in a sterling silver pendant. Also included is a 20 inch sterling silver heavy rope chain. It is uncertain if emeralds will ever be mined at this famous location again. 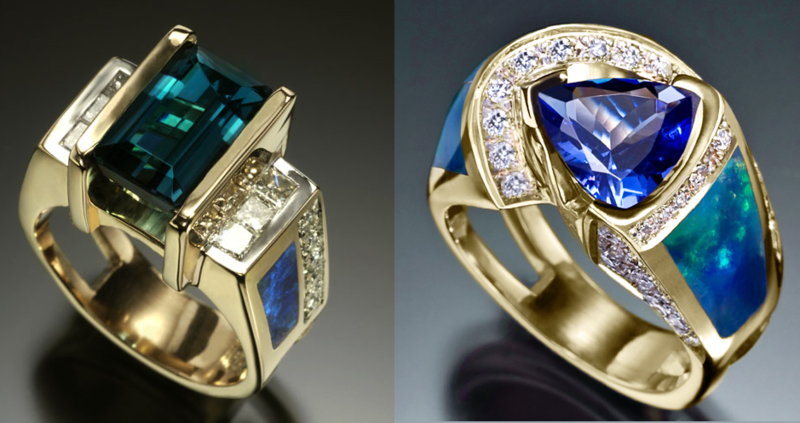 Here’s your chance to own a rare gemstone from a historical mine. This spectacular pendant is over 52 carats of emerald with a small amount of matrix, with some of the best quality emerald, deepest and clearest in color, you will ever see, at any time, in any piece, anywhere. Quite a statement! 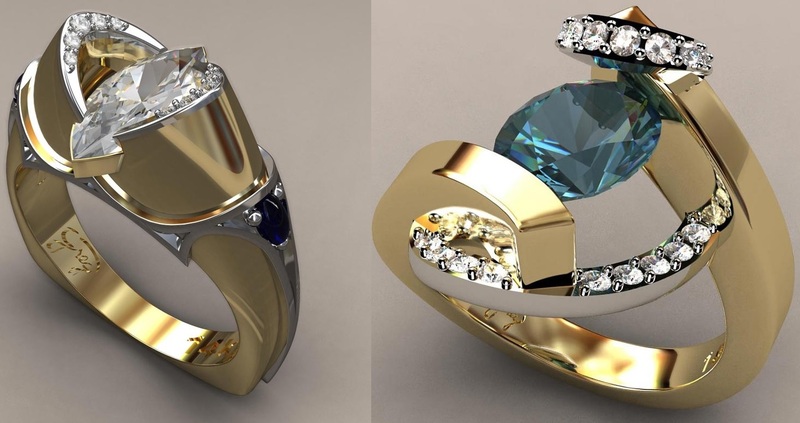 The more expensive gold filled wire has been used to wrap it up securely in a permanent heirloom piece. The center emerald is huge! This was mined at the now closed Crabtree Emerald Mine in Spruce Pine, NC, so its value will only go UP over time. 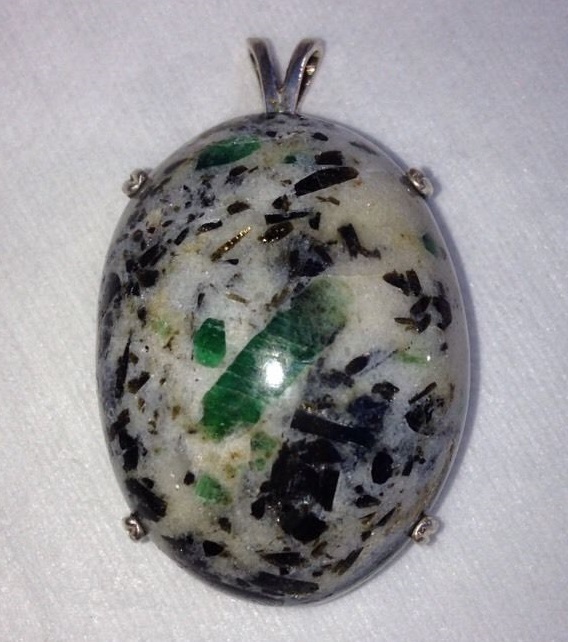 This is an absolutely one of a kind emerald pendant. 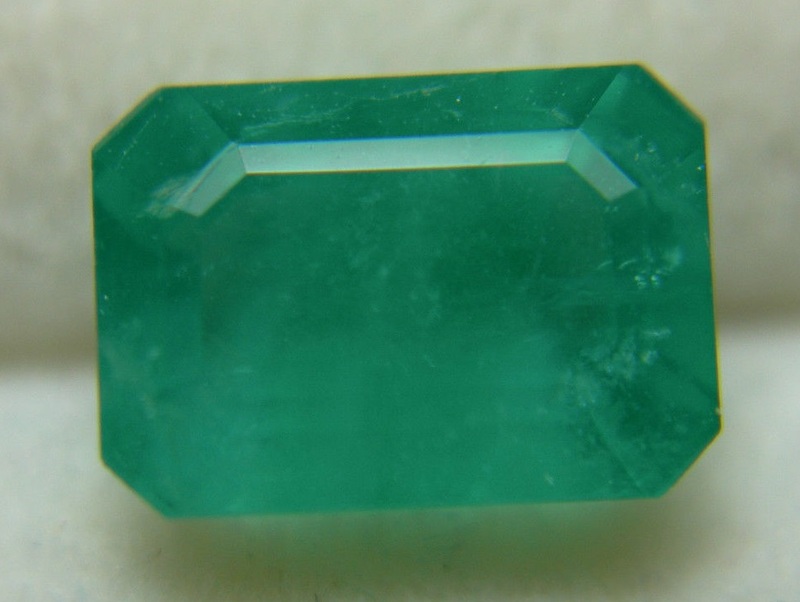 Some of the emerald in it is the type that sells for over ten-thousand dollars a carat, with on average only two carats of such material being mined in all the emerald mines in the world per year. This one of a kind hand cut emerald matrix consist of North Carolina Emerald, Black Tourmaline, Smoky Quartz and Feldspar. Mined prior to 1994 in Mitchell Co. Weighs in at 100.5 cts. Mounted in USA Sterling Silver and measures 30×40. Cabochon is cut by Mike. This one of a kind hand cut emerald matrix from the Crabtree mine consist of North Carolina Emerald, Black Tourmaline, Smoky Quartz and Feldspar. Mined prior to 1994 in Mitchell Co. Weighs in at 100.5 cts. Mounted in USA Sterling Silver and measures 30×40. Cabochon is cut by Mike Jaynes, owner of Linville Mountain Gem Shop in Marion, NC. Over 25 years experience. 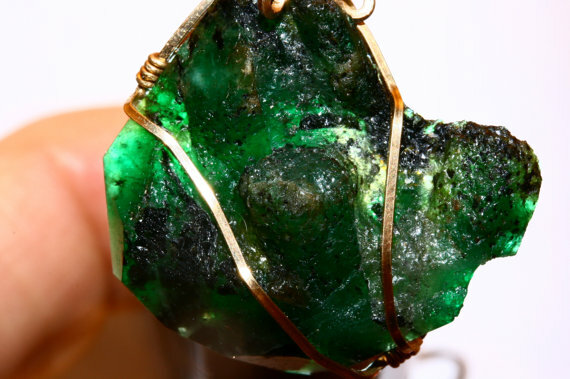 Jamie Hill thought he found a new way to make money by opening up his aging emerald mine to amateurs at $25 a head, and watched as a pair of couples quickly came away with tens of thousands of dollars worth of gems. 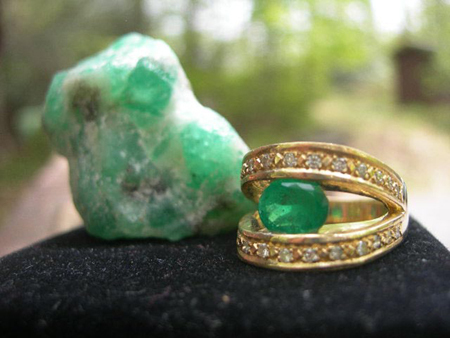 Libby and Kevin Barrieault were the first to strike gold – or emerald – on a group trip to the North American Emerald Mine in Hiddenite, N.C. The next day, Terry Lofgren and her fiance John Kehoe found a pocket of emerald crystals. Hill, known in the area as the “emerald man,” insisted today that he has no regrets.